• Jackpot Slots Casino Review - A Brilliant Casino? The Casino Gorilla has scored a fair few wins in his days, but he’s never managed to win a progressive jackpot. He’s always dreamed of winning a huge, life-changing cash prize. 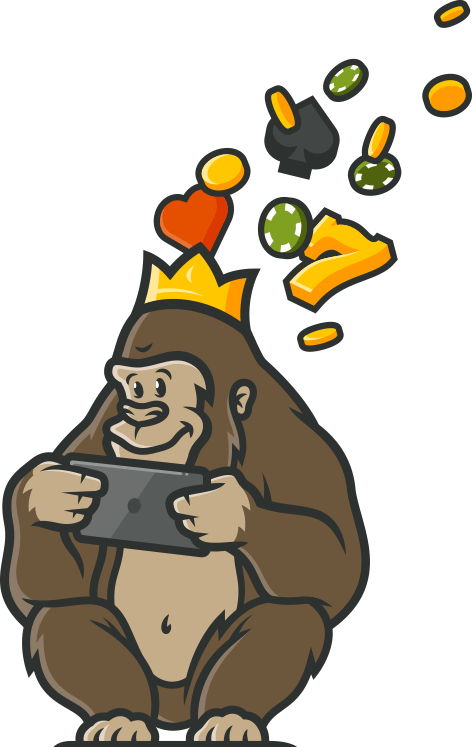 Determined to land a big win, the Casino Gorilla decided to play at Jackpot Slot Casino, the casino where there are plenty of big jackpots waiting to be won! So as you can see, you’ll be entitled to both bonus money and free spins just for signing up. Once you’ve made the most of your welcome bonus, check out the other promotions at Jackpot Slot Casino. The line-up of offers changes from time to time, so claim any bonuses while you can. Don’t you just love free spins? With free spins, you can spin slots for no extra cost and you can even win real money! As mentioned above, you’ll receive some free spins as part of the welcome package for new players when you sign up to Jackpot Slot Casino. These spins are to be used on Starburst, the bright and dazzling star-themed slot from NetEnt that’s one of the most popular online slots around. Check out the casino’s promotional offers regularly and make the most of free spins offers while they last. With a bonus code, all you have to do is enter it and you’ll be entitled to an extra bonus. None of the casino’s current promotions actually require a bonus code, though you can still find bonus code offers on third-party sites that list promotional offers for lots of different casinos. When it comes to finding slots to play, you can filter the collection by provider or by wins. If you filter by wins, you can sort the slots by how frequent the wins are expected (Regular, Frequent or Very Frequent), as well as the size of the wins (Very Big or Big). You’ll find a good mix of slots available to play here. If you’re stuck for choice, check out some of the casino’s most popular slots, such as Cleopatra, Starburst, Twin Spin, Vikings Go Berzerk and Fluffy Favourites. Or have a spin of some of the newest slots, from Wolf Ridge and Temple of Nudges, to Pixies of the Forest II and Mariachi Mayhem. Of course, there are some progressive jackpots to be found here as well. Test your luck at high-paying jackpots such as Divine Fortune, Slots o’ Gold and IGT’s Mega Jackpots series, which includes Golden Goddess, Wolf Run, Star Lanterns and more. If you can’t get enough of the interactive thrills of live casino games, you’ll be pleased to learn that Jackpot Slot Casino has plenty of live games. There are over two dozen options available, with live versions of roulette, blackjack, baccarat, three card poker, Caribbean stud poker, dragon tiger and others waiting for you. The casino’s live games are supplied by Evolution Gaming and NetEnt. Evolution Gaming in particular has an excellent reputation for creating live games and has even created two of its own – Football Studio and Dream Catcher – that you can play at Jackpot Slot Casino. Can’t get enough of gambling on the go? Visit Jackpot Slot Casino on your mobile device and keep up with the gambling action wherever you are. The mobile casino is fully compatible with iOS and Android devices and is designed to run smoothly on both smartphones and tablets. It comes with a broad selection of the casino’s most popular games and has a straightforward layout. It’s a very user friendly mobile casino. There aren’t any fees for making deposits except for it you’re using Boku mobile; for this, there’s a 15% fee. When it comes to making withdrawals, you’ll have to wait up to three working days for the casino to process your withdrawal request. Then, if you’re using an e-wallet, your money should reach you straight away; if you’re using a different type of payment method, you’ll have to wait a few extra working days. Jackpot Slot Casino aims to offer players somewhere they gamble safely online. The casino is operated by Nektan (Gibraltar) Limited, which is based in Gibraltar and is licensed by both the Gibraltar Gambling Commission and the UK Gambling Commission. The casino uses the most up-to-date SSL encryption technologies to ensure that all players and their details are completely protected at all times. The phone line and live chat feature are available daily from 8am to midnight. If you decide to send the team an email, you can expect a reply within 24 hours. According to Jackpot Slot Casino’s terms and conditions, the casino doesn’t offer its services anywhere that online gambling is currently illegal. The casino doesn’t provide a full list of restricted countries, though it does state that the USA is one of them. Jackpot Slot Casino is an online casino that aims to offer players of all tastes with all the games and bonuses they need for a brilliant gambling experience. The casino has a pretty good line-up of games and some pretty tempting promotions that you won’t want to miss out on, including the welcome offer, which offers both bonus money and free spins. Sign up to this online casino and be sure to check out the progressive jackpots! 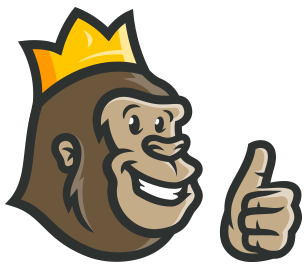 The Casino Gorilla was very pleased with Jackpot Slot Casino. He still hadn’t managed to in a huge jackpot, though that didn’t matter too much because he was having such a good time playing the casino’s games.